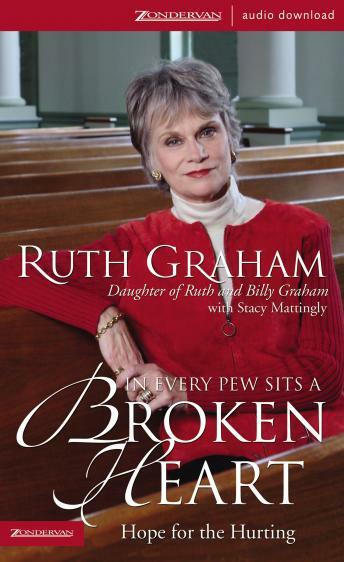 Ruth Graham - daughter of beloved evangelist Billy Graham - offers a guide for those who are hurting or those who love them. She illustrates through personal stories and Scripture how nothing can keep you from experiencing the fullness of God's grace. Run with Ruth to the arms of the God you can trust, the Father God who embraces, sustains, and redeems your brokenness. Ruth Graham has discovered through bitter personal experience that God does his great work in the ruins of our lives. As Ruth's life descended through divorce, depression, and shame; as she bore heartrending parental struggles; and as she faltered trying to make wise choices in the wake of bad ones, she discovered the unending embrace of a faithful, forgiving, and grace-filled God. The indignant older brother, struggling to understand God’s grace toward her husband's infidelityThe prodigal, wading through the deep shame and painful circumstances of her own actionsThe father, running to embrace her children in the midst of bulimia, drug abuse, and unplanned pregnancyRuth includes practical steps in every chapter anyone can take to offer care, support, and hope to the broken people they encounter in their lives and in the pews beside them every Sunday.